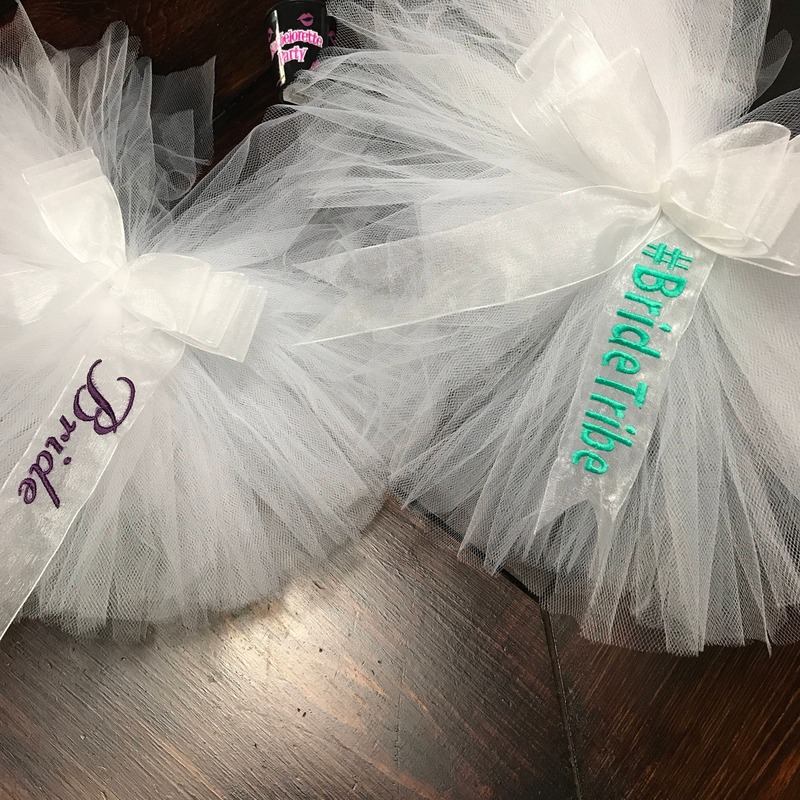 Our Patented Bachelorette Party Booty Veil™ but embroidered with your choice of #bridetribe, #bridesquad, Bride, or Bachelorette. 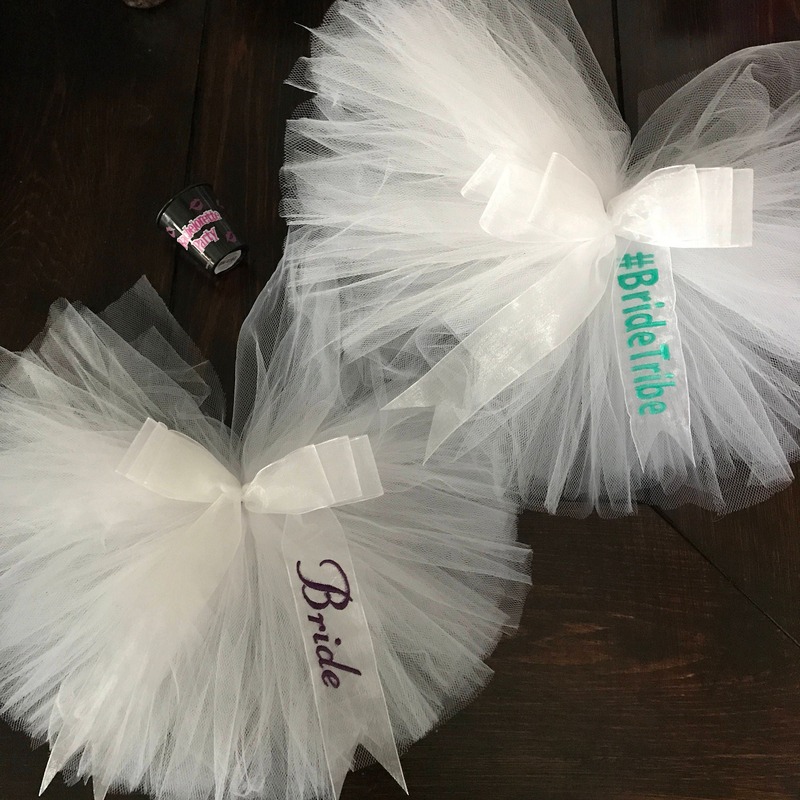 The Booty Veil™ is made of durable Organza ribbon and tulle. 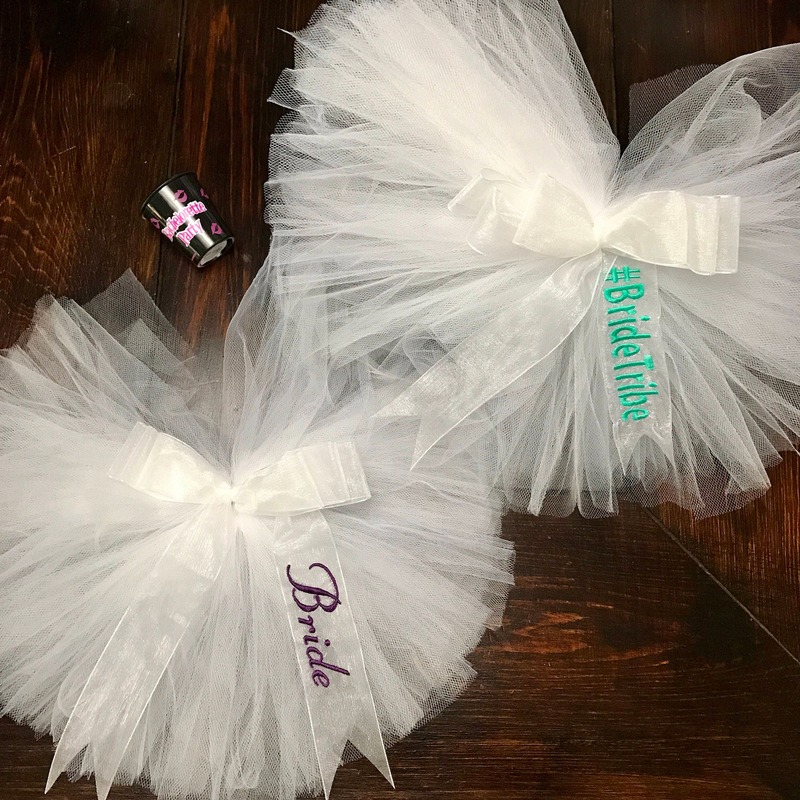 The monogram is in your color of choice and will not fade or bleed if gotten wet. Please include the color within the seller notes. Photo choices coming soon.